With just over two months for the Indian Super League carnival to make its appearance, all the 10 teams are in the final stages of working out their squad composition. Delhi Dynamos, as expected, have been fairly busy in the transfer market and have so far signed up 15 Indian players plus three foreigners for the upcoming season. Though there have been some lows for the Dynamos before a ball is even kicked, their squad is shaping up nicely with club CEO Rohan Sharma hoping his side to go one step further than last time after Dynamos were eliminated at the semifinal stage last time round. Firstly, the decision which drew a lot of attention towards the Delhi side was their stance of not retaining any of their players for season four. The decision to not retain Anas Edathodika - India's premier central defender caused a lot of discussion in the Indian media. Delhi Dynamos went with a clean slate for the draft pick and understandably had one of the biggest budget to spend from. 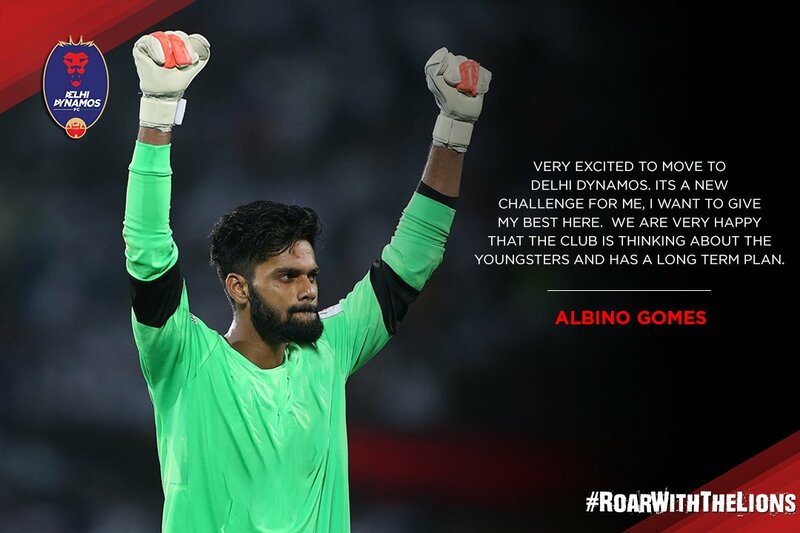 Dynamos' first choice in the draft process was Aizawl FC's goalkeeper, Albino Gomes. The 23 year old saw the Islanders win the I-League last season and will straightway slot into being his new club's number one custodian. Following Gomes was Indian international and one of the country's most promising defenders, Pritam Kotal to the country's capital. The 23 year old former FC Pune City fullback will play a huge role if Delhi Dynamos are to have another successful campaign. Next up was Romeo Fernandes, the FC Goa winger who dazzled in the ISL consistently for three years with the Gaurs. His impressive showing in the league earned him a loan spell at Brazilian side, Atletico Paranaense. Romeo will add the much-needed creativity on the flanks for Delhi. Some of the other talented Indian players who will be seen in the whites of Delhi include Seityasen Singh, Sena Ralte, Pratik Chowdhury and Munmun Lugun. Dynamos' Indian contingent has a right mix of youth and experience, of solid defence and impactful attack ahead of the new season. Compared to their counterparts, Delhi have not done many foreign signings so far. After North East United, Dynamos are second from the bottom in the list with just three foreign signings. But those three players have been handpicked by the manager Miguel Angel Portugal and are just what the club needs. All their foreign signings have a South American flavour to them with Gabriel Cichero - a Venezuelan national team regular being their star attraction. Matias Mirabaje and Paulinho Dias are the club's other foreign signings with the latter recently plying his trade in Serie A with Cruzero. 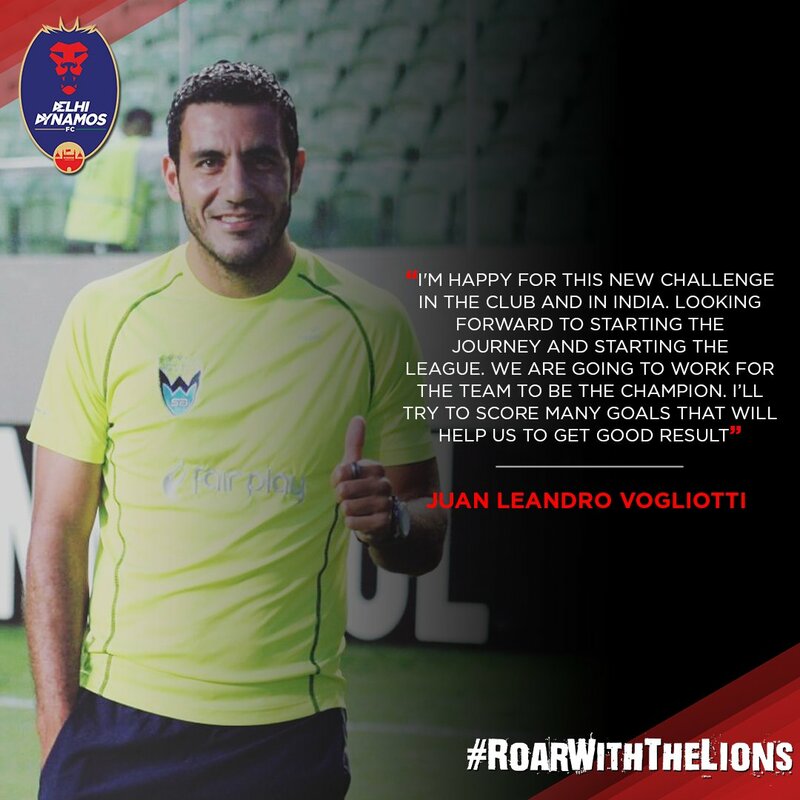 But the biggest disappointment for the Dynamos came in the form of Bolivian striker, Juan Leandro Vogliotti. Delhi lacked an out and out striker for the upcoming campaign and had zeroed in on Vogliotti who currently plays for Bolivian first division side, Sport Boys Warnes. Due to some "unforeseen circumstances" from the striker's side, the deal fell through a few days back. Dynamos had announced the signature of Vogliotti but the player changed his mind at the last moment and backtracked, leaving Delhi Dynamos red faced. Vogliotti is a proven goalscorer and now with him not joining them for their preparations, Dynamos have their work cut out. The club hierarchy and the manager must bring in a striker before the start of the season to give the Dynamos a fighting chance to top the league phase. Despite this controversy, Delhi Dynamos have done some brilliant business so far and will look to enthral the supporters with their attacking style of play just like the last time.